Keep a look out for clubroot, and take care to slow the spread of soil away from these infested areas. This quiz gives you a few numbers to think about…. 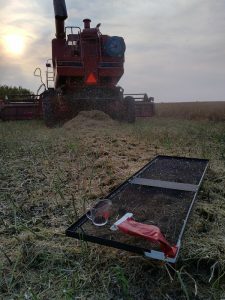 RAIN DELAYS HARVEST: WHAT TO DO? 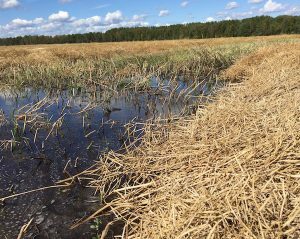 Harvest delays due to soggy soils, frequent rains and even mist have canola growers wondering about risk to the crop and what, if anything, they can do reduce these risks. Really, the only approach is to wait out the weather. 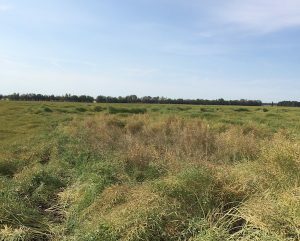 When fields are able to support the swather, decide then whether the staging suits swathing or straight combining. This article answers these and other questions: What is the “point of no return” for swath timing? Will canola seeds sprout with all the rain? How much does cool, wet weather extend curing time? When rain stops harvest progress, consider this job — “Do an end-of-season plant count” — and nine others outlined in this article. 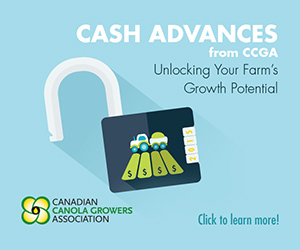 Ideally, growers will want to put canola on aeration as soon as it comes off the field. 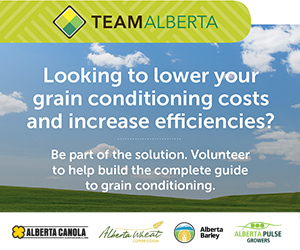 Cooling hot grain within the first 24 hours is important for safe long-term storage. 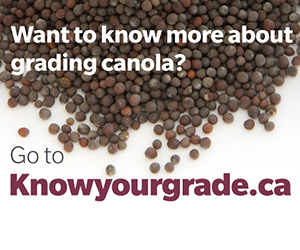 Removing moisture that sweats from all canola — but especially tough canola (10-12% moisture) — is also important. achieves both of these steps. 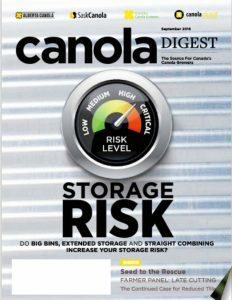 Recent trends in the way farmers choose to harvest and store canola are raising questions about current safe-storage guidelines. 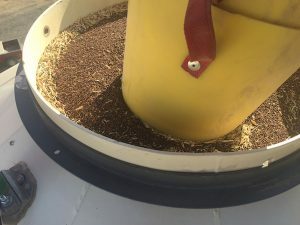 Bins are getting larger, more farmers are leaving their canola stand to maturity for direct-cutting and, increasingly, farmers want the option to keep canola in the bin longer as a marketing tool. detected swede midge larvae within flower buds at multiple sites — but densities were very low. Preliminary data indicates that distribution of swede midge within Saskatchewan has increased in 2016 compared to 2015. 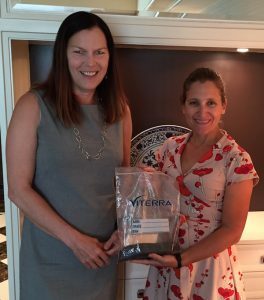 CCC President Patti Miller (l) and MP Chrystia Freeland in China with canola from Freeland’s father’s farm in Alberta. Step one is to measure the amount of loss. This article describes all the steps in detail. Step two is to determine whether that loss is acceptable. 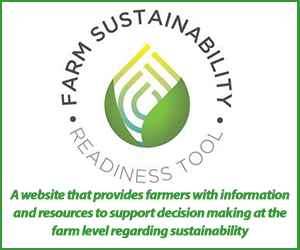 Step three is to take steps to reduce losses. Frost on pods can stop plant development and lock in green. It can also cause pods to split. However, a light frost may have no effect at all, and the crop will be better left to mature fully. Check standing canola the morning after a frost. Before taking any action, wait at least 4-6 hours after frost to allow the full extent of frost damage to become evident. The crop may look undamaged that morning but by the afternoon wilting, desiccation and pod splitting may begin. This crop may need to be swathed to preserve yield, but keep in mind that high green counts are likely. Light to moderate frost damage may take longer to show up. If no damage is evident after the first day and you decide to leave the crop, scout again after 2 to 3 days to reassess. If most or all seed is mature and you planned to swath the day after a frost anyway, then don’t bother waiting 4-6 hours. Just start swathing.